Right now I am so in love with stamps from Altenew. I have a few sets already, but their new release sent me right over the edge! Some of their newest stamps will be showing up in my mailbox tomorrow I think! 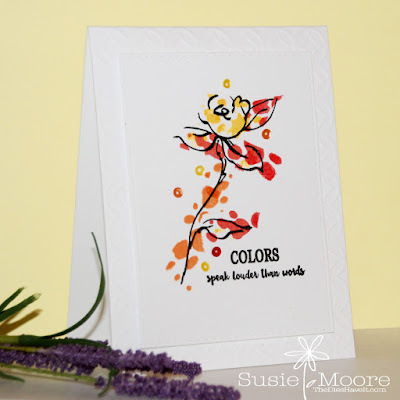 I used the Golden Garden and the A Splash of Color stamp sets to make my card. I could have easily colored my flower with Copic markers, but I thought it would be more fun to apply randomly stamped paint splotches this time. I love how it came together! Have an absolutely terrific day and I'll see you again tomorrow! This is just delightful!! Love! 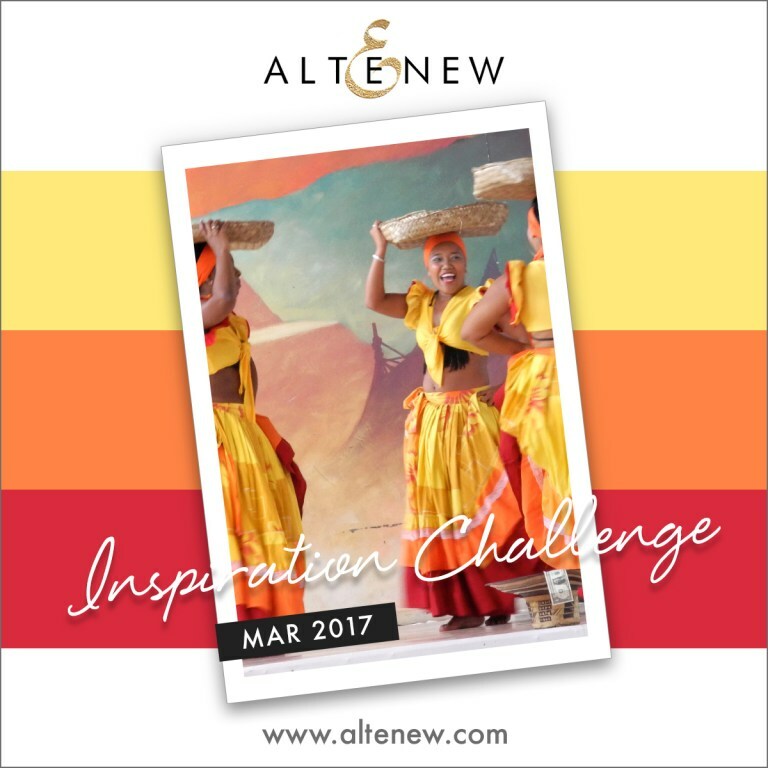 Thanks so much for playing Altenew March Inspiration Challenge! FABULOUS! LOVE! 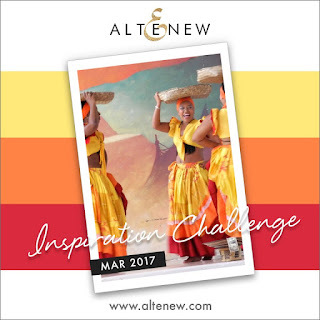 Thanks for joining as for the Altenew March Inspiration Challenge.